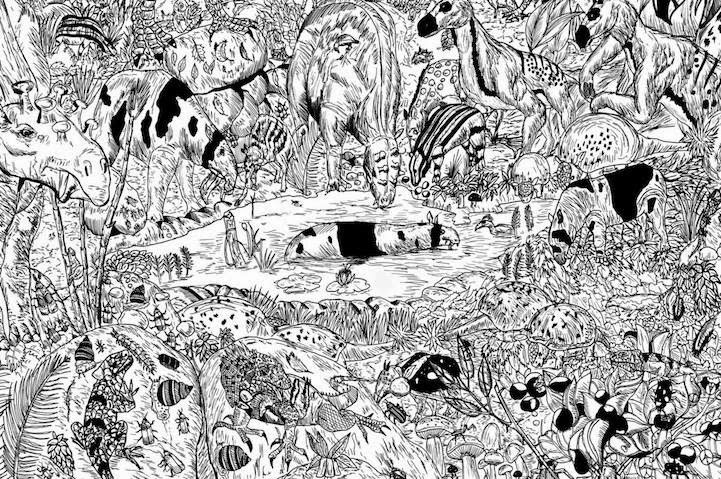 THIS 11-YEAR-OLD ARTIST CREATES AMAZINGLY DETAILED DRAWINGS OF WILDLIFE! 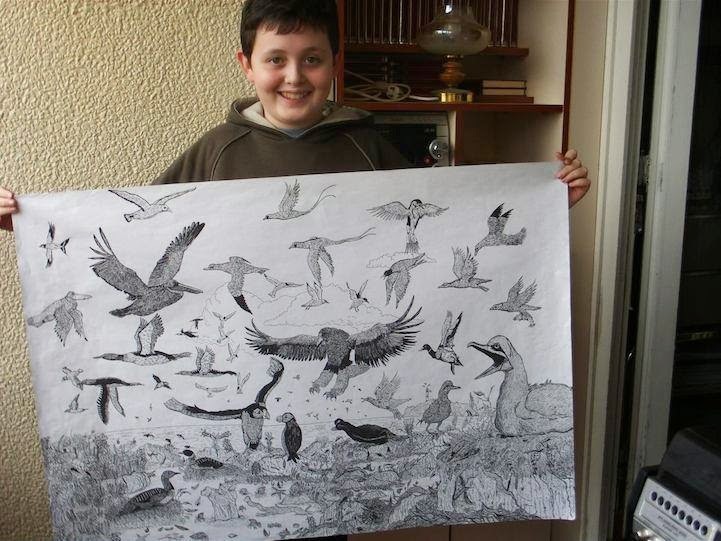 Meet Dušan Krtolica, one of the most talented 11-year-olds ever. 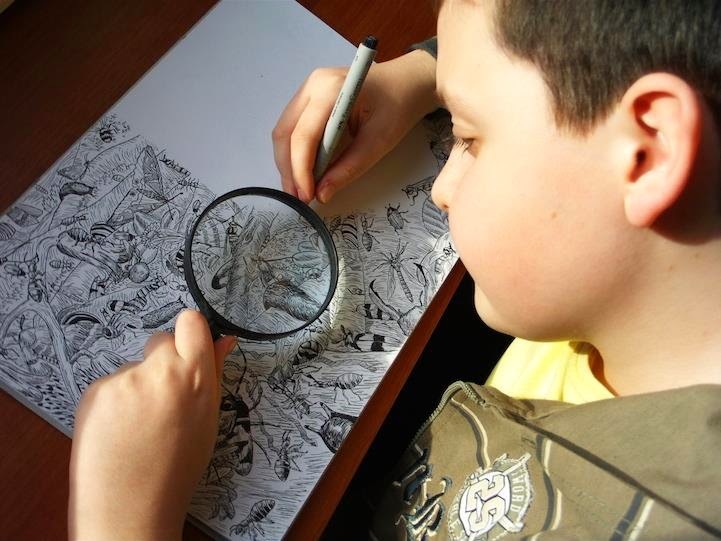 The Serbian child prodigy is a master artist who creates stunningly detailed, nature-inspired drawings with a skill level that is far beyond his years. 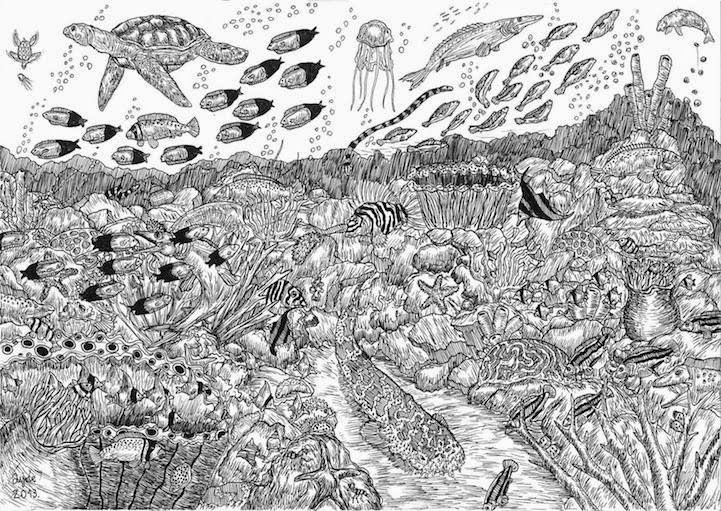 Using just pen or pencil, Krtolica draws anatomically correct flora and fauna, piling together aquatic life, dinosaurs, insects, birds, and other creatures in dense illustrations that burst with life. 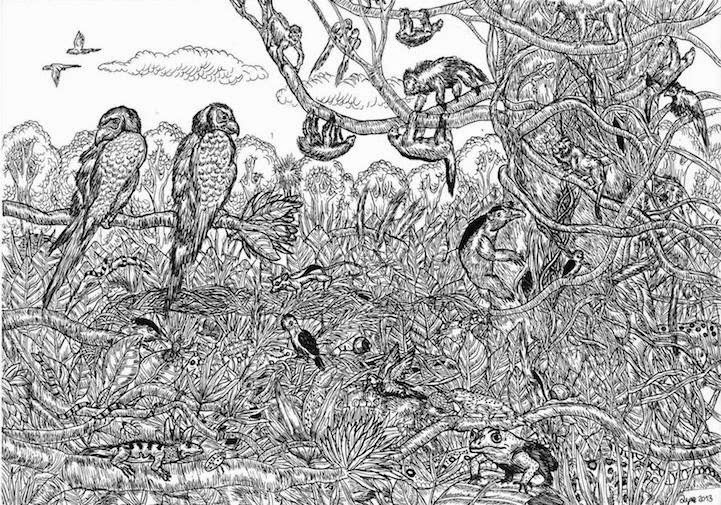 Krtolica's intricate drawings reflect his fascination with the natural world. 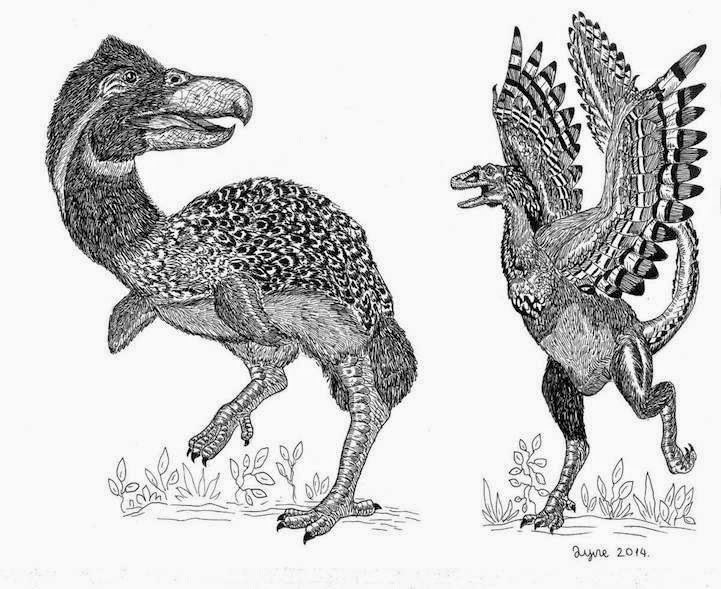 He has a thorough knowledge of all the geological eras, the animals that lived during those periods, and different species of marsupials, among other things. When his parents bought him a comprehensive encyclopedia of animals, it took him less than three weeks to memorize it completely. 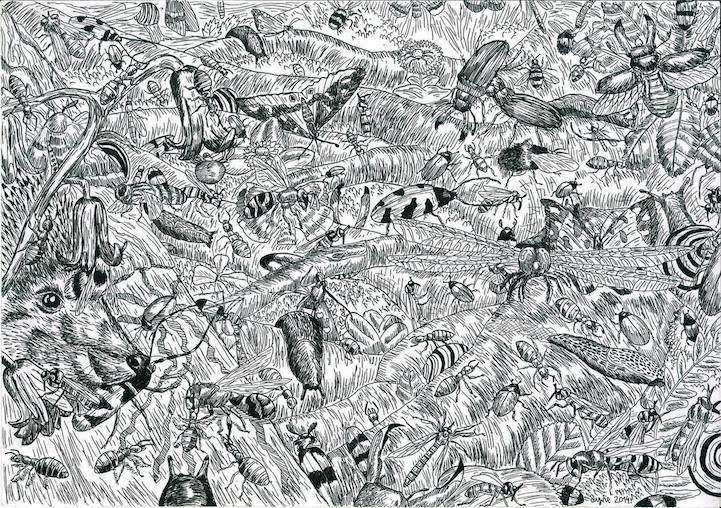 "I would have studied animals and published a book about them, but I’m going to draw all of them," says the young boy, whose ambition is to become a zoologist in the future. 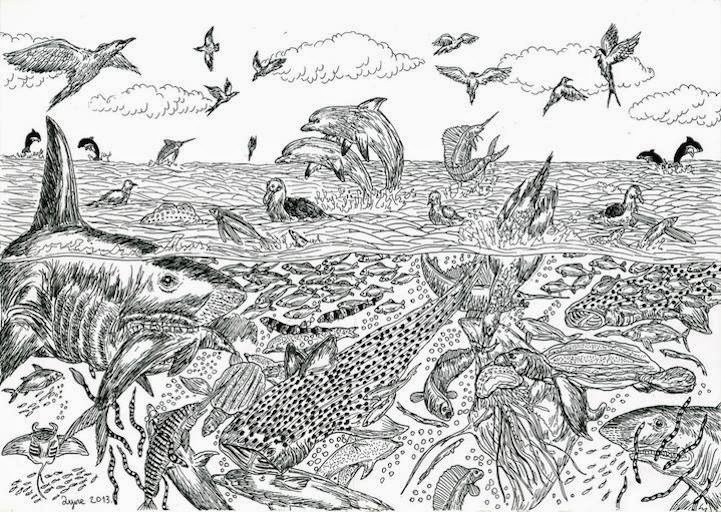 Krtolica has been drawing since he was just two years old. 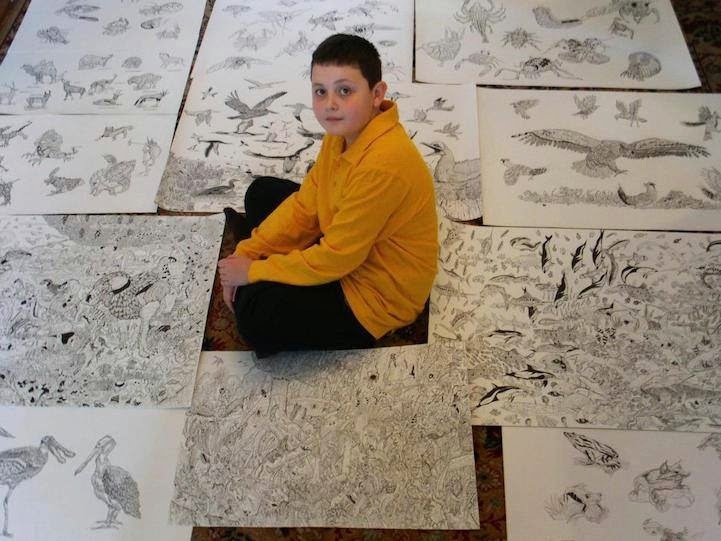 Looking at his complex and advanced creations, it's not surprising to learn that he's already held three national solo exhibitions—the first two before the age of eight. As someone who's still learning and developing, we can imagine that his artwork will only continue to soar to new heights in the future.